Besides publishing high-quality research from around the globe, the RSC’s activities support chemistry education and lifelong learning. 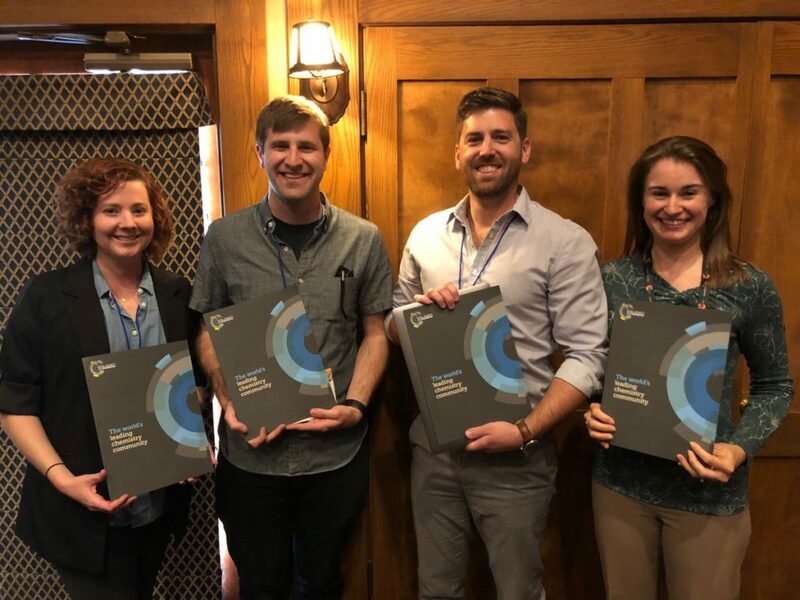 During Teacher Appreciation Week (May 7-11) we celebrated the launch of Professional Development of Chemistry Teachers: Theory and Practice, the first book in the RSC Advances in Chemistry Education series. 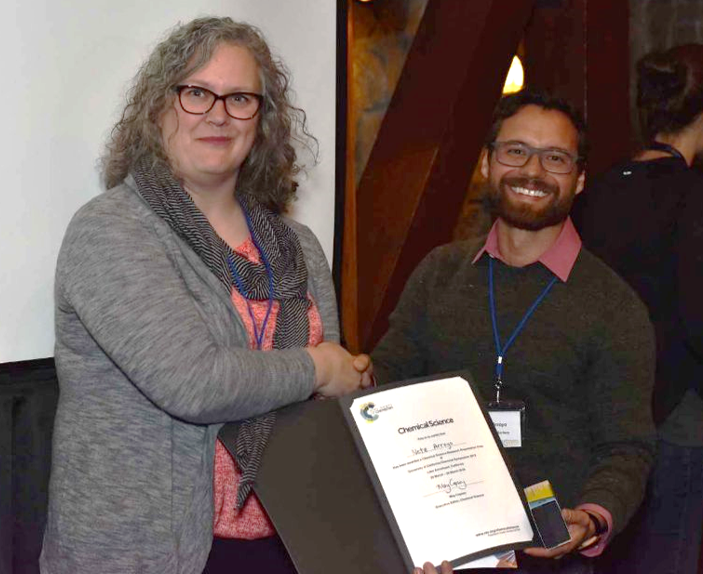 We reflected on all the educators who are making a difference for those studying chemical sciences and wanted to showcase one of the outstanding young educators we’ve met who are making an impact in the North America chemistry community. 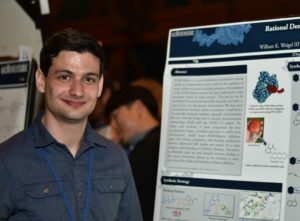 At the 3rd annual University of California Chemical Symposium, Zachary Thammavongsy from the Yang Group at UC Irvine (UCI) won the coveted “Social Media Prize” for generating the most buzz around the meeting, but what really made Zach stand out was his game company, d-Orbital Games. 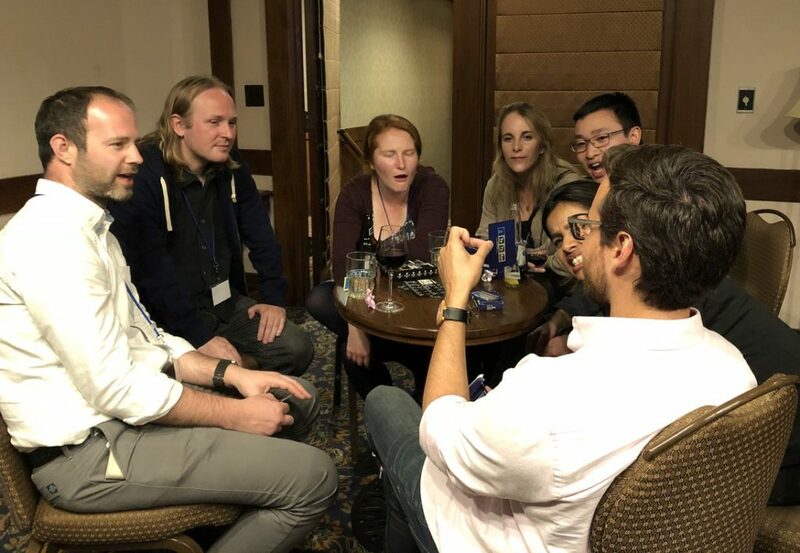 Attendees like Chemical Science Deputy Editor, Jeremy Allen, had so much fun playing that they may not have even realized they were learning. Since many graduate students with a passion for teaching are often torn between their roles as a researcher and an educator, we caught up with Zach during Teacher Appreciation Week (May 7-11) to learn more about his accomplishments while in graduate school, what he has in store for the future, and what advice he would give to others who are inspired to teach. 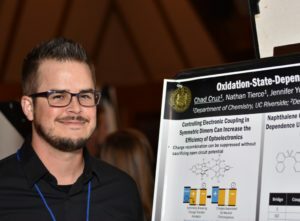 Zach, who won the 2017-2018 UCI Most Promising Future Faculty Award, has found a unique way to manage both research and teaching and even start his own business. Read on to learn more about Zach’s story and how teaching and learning really can can be fun and games. “A game can be many things, but, at its core, a game is a defined set of parameters that allow a player or players to compete. This is a very structured answer, but these predefined parameters make games fun to play (either alone or against other players). A game should be fun, challenging, thought-provoking, foster a sense of competition, and ultimately provide a tangible way to accomplish one’s goals (winning). These concepts are easy to translate into simplified science topics. When playing a new game one must become familiar with the rules; I just make those rules simple to understand while teaching players about science! “Growing up, I had amazing teachers. My source of inspiration for how to teach effectively has always been my high school teachers. They put maximum effort into their curriculum and I felt that they genuinely loved interacting with students. Now as a teaching assistant (TA), I take the same approach to teaching my lab sections and discussion courses. I don’t think I have a skill that others don’t possess in teaching, but I do believe I have the desire and the drive to pursue teaching as a career that I admire in other teachers. This is why I improve my teaching ability by taking advantage of the education classes offered at UC-Irvine and I attend teaching conferences. I am fascinated by the teaching techniques and learning strategies utilized in the subject of chemistry, and I hope to pursue conceptual learning as a research topic in the near future. “I am a pedagogical fellow at UCI through the Division of Teaching Excellence and Innovation (DTEI). 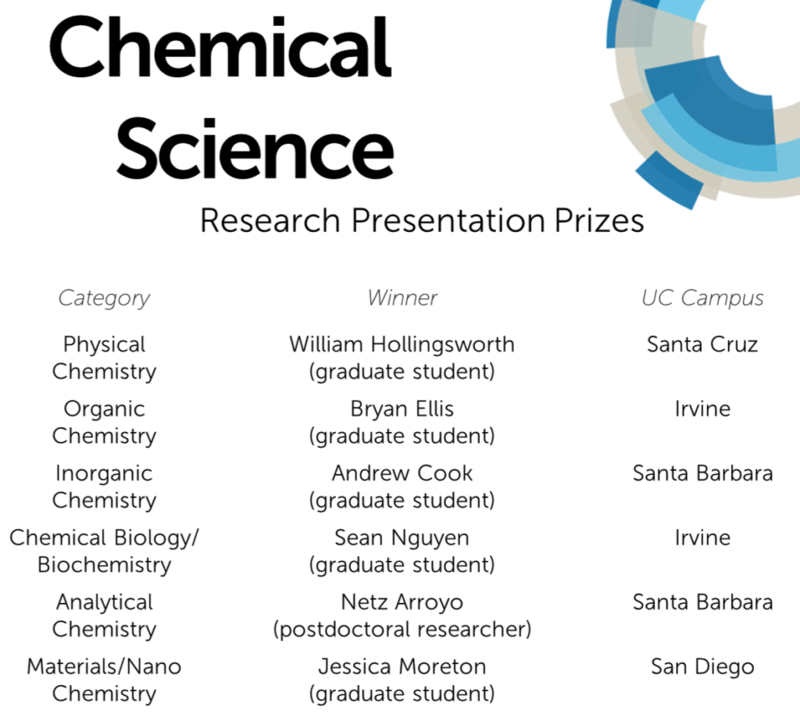 The fellowship is highly competitive as it is open to every graduate student at UCI. I learned of the fellowship through a former pedagogical fellow in the chemistry department. I submitted a sixty minute video of my teaching, collected student evaluations and underwent a formal interview process. The fellowship provided invaluable opportunities, like taking a year-long seminar on teaching techniques with pedagogical fellows from other departments and leading a two-day teaching workshop to prepare incoming graduate students in chemistry for teaching responsibilities. Preparation for the workshop was rigorous; I now fully appreciate the time commitment instructors invest into preparing lecture notes. Zach’s company d-Orbital Games uses simple but clever games to teach chemistry concepts while making education fun. “As a pedagogical fellow, I crafted a few chemistry flash cards with some paper, pen and scissors to make a simple game to play with my colleagues. The game was so popular with those who did not have a chemistry background, that I used it as the basis of the first d-Orbital game, SeArCH! I launched a Kickstarter soon after, where I converted the seed money from the funded campaign to make more science-based card games and built a brand! The name d-Orbital Games (dOG) was brainstormed one late night in lab with an undergraduate researcher, Wyeth Gibson. It was only fitting that as an inorganic chemist, the chemistry card game company would be named after the transition metal electron orbitals (d-orbitals). 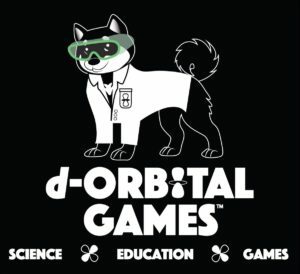 I also love the acronym “dOG” since I love dogs and my parents have a shiba inu – which is the company mascot featured in our logo wearing a lab coat and goggles. “Initially, I was apprehensive about revealing my games to my advisor. I didn’t know how she would receive the news since research is a graduate student’s top priority. I finally told my PI four months after launching the d-Orbital game website and she was absolutely supportive and encouraging. I am not quite sure why I initially felt that my PI would not be receptive to the idea, as she is a very supportive mentor to her students and their scientific goals, even if it isn’t strictly research. My PI has even retweeted things posted on d-Orbital game’s Twitter. If she is reading this, Jenny, you are the best! “I wandered often while navigating my way into starting a company. I gathered the courage to approach all types of people, not just academics. I asked business owners who started their own companies and shared my business platform at entrepreneurial meet-ups sponsored through UCI. One of my biggest challenges was approaching domestic or international manufacturers to make my games for the lowest price. The best advice I received thus far is from Catherine Croft, Ph.D., the CEO of Catlilli Games, who advised me to submit my games to award shows and attend conferences to showcase d-Orbital Games. It is amazing how many doors open by starting a conversation with people you barely know. I was happy to receive such a warm welcome at UCCS. I went to the symposium unsure how chemistry graduate students from other UCs would react to d-Orbital Games. I had one of the best moments this year watching other graduate students take interest in the education games my team developed. Specifically, I enjoy seeing the smiles and laughter that “Slap Count” brought to the table when a collective group of graduate students were competing to show off their skills in counting d-electrons! The UCCS Chair, Andrea Coleman from UC-Davis, was the star player that night, by bringing the energy to the game table. “My current team is made up of lab members and childhood friends who possess skills that are unique and vital to the success of d-Orbital Games. They provide critical feedback on every detail, allowing us to provide the most accurate and fun chemistry games. Also, it is nice working with your friends! They don’t hold back on their opinions and I appreciate that a lot. The game designers can be anyone on the team, but usually Bianca and Wyeth help come up with initial concepts and game mechanics. The two editors Kim and Brian are extremely critical of spelling and grammatical errors. Ali and Mike are hometown friends that have helped me get through some of the computing and business side of the company. They are a big help from far away. Fortunately, the game designers are my lab mates. I see them every day. Since we are all busy researching, we don’t normally set a schedule for designing games. The game design happens over at the pub or during our group bonding time. We choose a chemistry topic to tackle and share how certain game mechanics can be incorporated into highlighting a difficult chemistry concept. We try to simplify our games as much as possible, so that students can quickly pick up the game in a one-hour classroom setting. 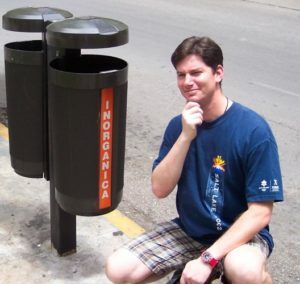 From there, I talk to my editing team about the overall look of the game. I make a lot of grammatical errors, and I am so lucky to have editors that can spot all of my mistakes. The most exciting game that my team is currently working on is a proton NMR game. We try to focus primarily on games that can be implemented in the college level classroom. The proton NMR game will be our first game with a gameboard! I even had students from my organic chemistry course play test the game several times. I am exciting to be presenting the results from the proton NMR game at this summer’s ACS Biennial Conference on Chemical Education! Please come check it out if you are attending the conference! 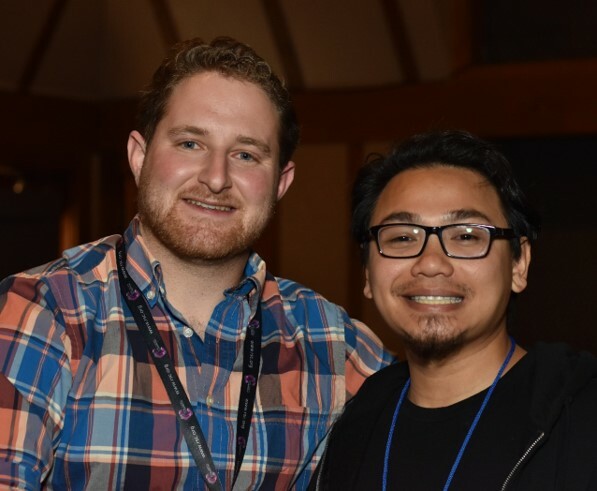 Zach Thammavongsy (right), founder of d-Orbital Games with Connor Easley (left), Chair of the next UCCS where Zach’s games will be featured during the 2019 meeting. We appreciate Zach sharing his story with us and hope you join us in thanking all the teachers who are making a difference; follow Zach & d-Orbital Games and the Yang Group on Twitter to keep up with the latest happenings in both teaching and research. Educators looking for additional teaching tools can explore Learn Chemistry, the RSCs educational resource and teacher support publishing program. In addition to the magazine Education in Chemistry which covers all areas of chemistry education, our peer-reviewed journal Chemical Education Research and Practice is free to access for all, thanks to sponsorship by the RSC’s Chemistry Education Division. You are currently browsing the archives for the UCCS category.